“The bar that the consumer is setting for how they want to interact with brands is getting higher and higher, driving the technology needs of marketing teams,” says Mayur Gupta, Global VP of Growth & Marketing at Spotify. Consolidation of marketing technologies are being driven my marketing clouds such as Salesforce and Oracle, says venture capitalist Robert Lee from Battle Ventures. This is evidence of vendors and buyers shifting from pursuing the perfect all-in-one martech solution to the concept of a unique martech ecosystem for each marketing team comprised of best-of-breed technologies that fit that team’s unique needs. Keep it in your kingdom, warned MongoDB CMO Meagen Eisenberg. “In marketing you need to respond to things really fast. If you have to go outside your department to get approval on something that goes out through your marketing technology, it’s going to take way too long to get to market.” Speaking of speed, Jen Chick, VP of Marketing Execution & Operations at Hilton pointed out that “marketing and technology move so fast you need to be able to shift roadmaps every six months.” So don’t get too attached to your plans. “ROI is not the goal of implementing martech,” says Samantha Stone, Founder & CMO at Marketing Advisory Network “When you’re evaluating technologies, it’s more important to create requirements that drive business value. When you start and end with ROI you fail to drive maximum value.” You can’t deploy every tool that provides ROI; it’s too low of a bar to set. Any tool on the market will be able to deliver some kind of ROI but your technology budget isn’t unlimited. You need to deploy the software that’s going to deliver the most value to your organization. Pick your battles; you’ll never be able to evaluate all the marketing technology. According to Scott Brinker‘s 2017 MarTech Landscape, there are now 5,381 solutions on the market. If you spend only 5 minutes checking each one out, it would still take you more than 12 years to evaluate them all. Not sure where to start your martech journey? Start with our ebook, Find the Gaps in Your MarTech Stack, and learn how to identify the marketing technologies that can provide maximum value for your team. “To win over the Chief Marketing Officer, use demos not PowerPoints,” says Daryl Hemeon, Marketing Technologist at Unum. Slides of stacks and workflows and challenges are boring, but a good demo can help CMOs visualize the possibilities without getting mired in the details of evaluation and execution. “Have the adoption plan prior to implementation.” recommends Ryan Schwartz, Marketing Technologist at MongoDB. Without adoption by users, even the most seamless martech implementation will fail. Sean Hiss, Director of Marketing, Strategy, & Operations at Equinix shared his five keys to change management: 1) have a realistic plan, 2) get buy-in from stakeholders, 3) plan for a phased delivery, 4) follow PP – that’s process / people / technology … in that order, and 5)make it fun, think quarterly pizza and beer time for training. 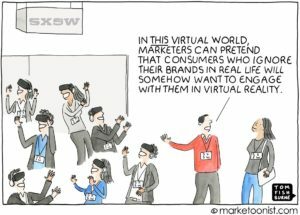 We’ll share a bonus, eleventh takeaway, this time from Tom Fishburne, Founder & CEO of Marketoonist who reminds us that “technology can’t save bad marketing.” Strategy trumps shiny objects, so make sure your technology supports the marketing strategies that have proven success. Ready to expand your Martech stack? 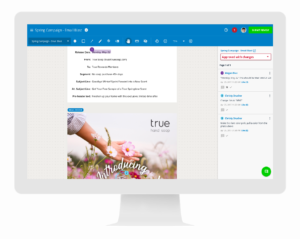 Get hands on with the only tool that allows you to review and approve email marketing campaigns!